Curly hair can be difficult to manage. When you add fine texture to the mix, all bets are off. We want you to love your curls no matter what texture! 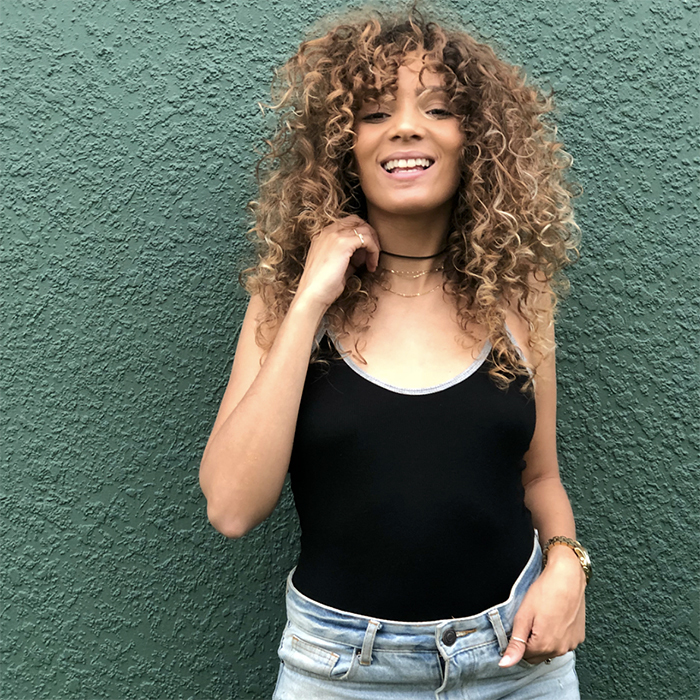 Here are some tips to help you style your fine curls. Unlike your friends with coarser curls, you're going to want to avoid cowashing. Use a mild shampoo to help remove build up. When you do shampoo, make sure to wash your head twice. Massage your scalp gently to break up any oil or product. Unlike other curly girls, super thick conditioner isn't a good fit for you. Too much richness in a conditioner will weigh your curls right down. Instead, opt for a lightweight conditioner. If you have extremely fine hair, you can also consider skipping traditional conditioners and using a leave in conditioner instead. Rinse with cold water until your curls are literally squeaky clean. If you don't get the squeak, you're leaving behind residue on your curls and will need to switch up the type of shampoo. Before completely rinsing away all of the conditioner, use this time to detangle with a wide toothed comb. Always start from the ends and work your way back up. Never tear or pull at snarls, as that will damage your hair. Instead, work through each knot one at a time. Once you're done rinsing your curls, you might need to remove some excess water. Do this by gently blotting your curls section by section on an old t-shirt or microfiber towel. For your fine curls, air drying is best. This gives your hair the time it needs to dry consistently without adding opportunities for more damage. If you simply cannot wait, you can speed up the process by using a diffuser on your curls. Cup each curl section one at a time in the diffuser and allow it to completely dry before moving on to the next section.